Happy New Year! Last year was filled with so much growth and I was able to serve more clients than ever. THANK YOU to everyone who makes this possible: clients, friends, family, Lender partners, Title Partners, Attorneys, CPA's and more! Now that 2018 is off to a start, have you made your resolution to purchase a home yet? I've got a market update for you as well as some 2018 predictions below. As the year came to a close for 2017, market trends continued to show a decline in sales. This is not for lack of qualified home buyers! We continue to see the stubborn trend of low inventory; many home sellers are just getting positive equity and not ready to move up to larger homes. There are many home buyers as well as down payment assistance programs available throughout the state that make purchasing a home easy and cheaper than renting. 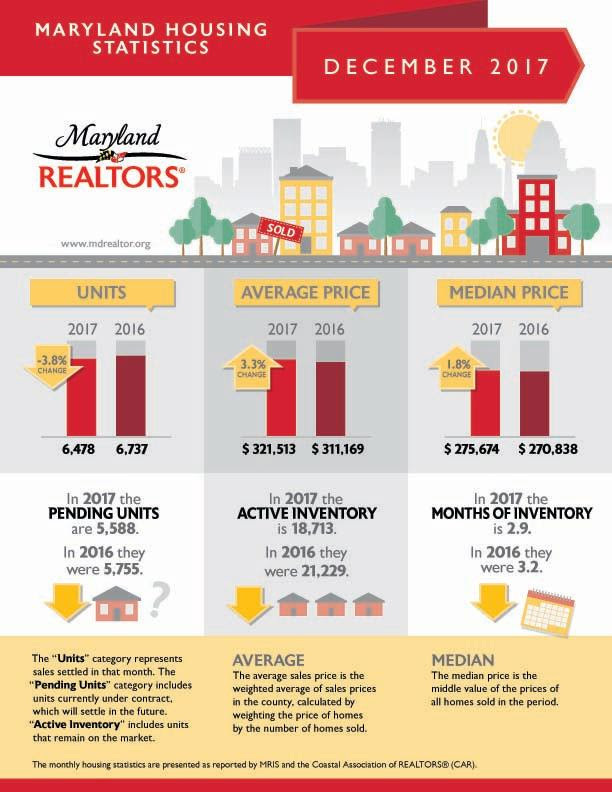 On top of that, the average sales price within Maryland continues to rise. I continue to advise clients NOT to wait until Spring- you get slightly more selection with many many more home buyers who also waited. It gets extremely competitive and that's typically when the bidding wars start up. When is the right time to buy a home? When you are ready to buy- not an arbitrary seasonal marker. The great news for home sellers? In nearly all markets you still see a stable investment on your side. Home values continue to rise- some more than others. I'm seeing many of my buyers from just 2 years ago already with enough positive equity to move up to a larger home if they so choose (and they'd be bringing some extra cash with them!). The Fed just increased rates, and the real estate market is responding as it always does lately: in stride. Rates for 30 year mortgages just increased by 11 points, and for 15 year mortgages increased by 10 points. This is still lower than rates from this time in 2016 and we didn't see any slow down between then and now. With the new tax plan on the horizon the economic forecasts are looking especially hopeful, but keep an eye out for rates that hit 5- year highs by the end of the year. We should know more once the Federal Reserve Board meets for 2018 and decides the plan for 2018. Len Kiefer, Deputy Chief Economist at Freddie Mac states— “Rates keep climbing. The 10-year Treasury yield reached its highest point since 2014 reflecting expectations of broad-based economic growth. Rates on home loans, in turn, followed the surge in Treasury yields. The 30-year fixed rate jumped 11 basis points to 4.15 percent, its highest level since March of last year." In a nutshell, it still costs to wait to purchase a home. Prices are only going up, and rates are only going up. I'm still hearing the common misconceptions of "I don't have enough money saved" and "My credit isn't good enough." My first question is usually- have you talked with a Mortgage Lender? Sometimes it costs more to wait to have that conversation. There may be nothing standing in your way of home ownership, or they can set you down the right path so that when you feel ready, you're actually ready. Have a home you're thinking about selling? 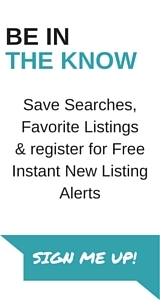 Send me a message today for a Free Comparative Market Analysis (CMA) that shows your home's current value in relation to similar home sales in your area. From there we can come up with an action plan to maximize your profit from your current home and upgrade to your dream home. As always, if you know of any friends, family or coworkers thinking of buying, selling or renting a home I am always available for your referrals!